Please permit us to respond to the Jan 9, 2014, letter to the Federation of State Medical Boards (FSMB) from 16 Senators commending it for its development of the Interstate Medical Licensure Compact. The proposed Compact is little more than a pretext for transferring state sovereignty to out-of-state private, wealthy organizations that are neither transparent nor accountable to the voters. The claim that such an agreement is necessitated by “advances in the delivery of health care” is false. We urge you to oppose the Compact and investigate the financial relationships of FSMB, including its incestuous relationship with the self-credentialed “patient safety” or “medical quality” industry, such as the CMS-funded National Quality Forum (NQF). Redefine “physician” to mean someone who “holds specialty certification or a time-unlimited specialty certificate recognized by the American Board of Medical Specialties (ABMS) or the American Osteopathic Association’s Bureau of Osteopathic Specialists”—and who pays dues to the AOA (if an osteopathic physician) and fees to various other designated entities. This excludes a large percentage of American physicians. 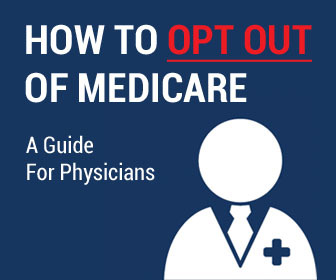 It would force physicians participating in the compact to engage in costly, time-devouring proprietary programs with no proven benefit to patient care throughout their career, while terminating the careers of many capable physicians. Create a whole new level of bureaucracy that will add substantially to the cost of medical care and trap member states into a Compact from which it may be very difficult for them to extricate themselves. To achieve the stated purpose of expediting “advances in the delivery of health care” such as telemedicine, all states would have to do is define the location of medical care as the physician’s location, not the patient’s as FSMB does. While irrelevant to good patient care, Maintenance of Certification (MOC) activities promoted by ABMS and its member boards (and required for physicians participating in the proposed Compact) are extremely lucrative to the executives who administer them. Practicing physicians uniformly find MOC to be of minimal or no value. 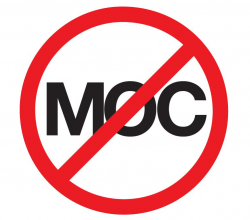 There is near unanimity that MOC’s only effect is to drain physicians’ time and money. 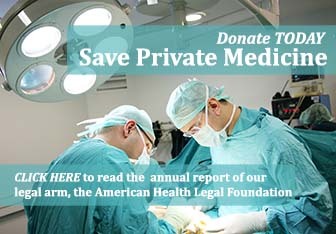 As an example of the relationship between the patient safety industry and the specialty medical boards, on Jan 9, 2014, the United States Depaerment of Justice reported that “CareFusion Corp. has agreed to pay the government $40.1 million to settle allegations that it violated the False Claims Act by paying kickbacks.” Those kickbacks, in the amount of $11.6 million, were paid to Dr. Charles Denham for his efforts in getting the NQF to place one of CareFusion’s formulations on the approved list. It so happens that the current CEO of NQF is the same individual who previously was CEO of the American Board of Internal Medicine. She was also found to have undisclosed conflicts of interest. 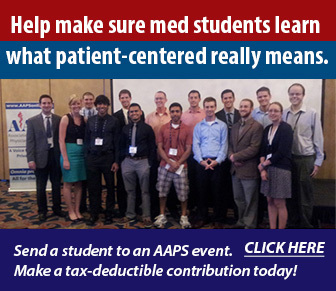 U.S. physicians undergo rigorous medical education and post-graduate residency training, and participate in continuing Medical Education (CME). This prepares them for a lifetime of competent service. There are many ways to monitor ongoing performance, as determined by state medical boards. MOC, however, is designed to enrich ABMS, FSMB, and its component specialty medical boards and its executives. We therefore respectfully request that you do not support, or reconsider your support for the Interstate Medical Licensure Compact. Additionally, we would suggest that an investigation of the FSMB and ABMS is in order, evaluating the very reason for their existence on top of state licensure boards and specialty boards that grant certification upon successful completion of specialty training.